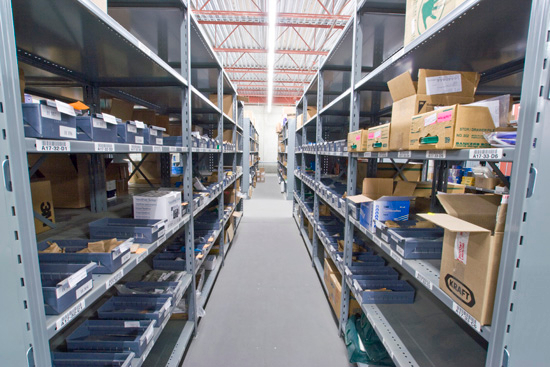 Metalware Boltless steel shelving is an economical way to maximize you storage space. Installation is quick and easy with the clip system. 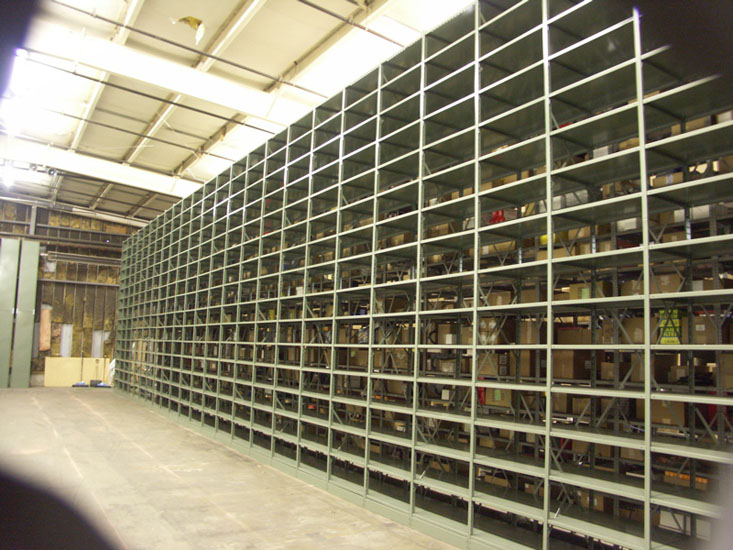 Boltless shelving offers heavier capacities than bolt-together shelving and reduces set-up time by up to 75%. It also has a high quality baked enamel finish available in many colours as well as custom colours. There are many different sizes and accessories available for this style of shelving. Metalware shelving can be used to make a 2 tier mezzanine. A Metalware Mezzanine is designed to satisfy your need for additional storage by maximizing the use of existing areas. By simply installing our boltless floor channel & flooring, you can increase your usable floor space without the expense of moving into a larger facility. Stairs and landings are available for all Metalware Mezzanines.